Boost home investments. According to a study funded in part by the Fiber Broadband Association and its members and conducted by researchers at the University of Colorado at Boulder and Carnegie Mellon University, high-speed fiber Internet can add an average of 3.1% to your home value. Read the full study here. Increase rental property values. Research by RVA, LLC for the Fiber Broadband Association found that fiber broadband increases rental and property values in multiple dwelling units (MDUs) by 8 percent and 2.8 percent respectively. Higher rental and sales values mean better bottom lines for MDU owners and operators. Using base financial data from the National Apartment Association, the study estimates fiber can add 11 percent to net income for MDU owners and operators per average apartment unit. Read the full study here. Drive economic development.  The Fiber Broadband Association and the Analysis Group conducted research that found that communities with widely available gigabit access have per capita GDP that is 1.1% higher than communities with little or no available gigabit services. The findings are based on studying 55 communities in nine states, using metropolitan statistical area (MSA) data from the National Telecommunications and Information Administration. Of the MSAs studied, the report found a positive economic impact in 14 communities where more than half of households are passed by gigabit fiber -- to the tune of $1.4 billion in additional GDP since gigabit broadband became widely available. Read the full study here.